Seattle, Wash., Oct. 2, 2014 — As work has progressed on the propeller of ms Veendam, it has been identified that more time will be needed to make the necessary repairs. As such, Holland America Line regrettably must cancel the Oct. 4 seven-day Canada & New England sailing of ms Veendam from Boston to Quebec. We are extremely sorry that our guests’ cruise vacations have been affected in this way and sincerely apologize for the inconvenience. Booked guests will receive a full refund of their cruise fare plus a future cruise credit of 100 percent of their cruise fare paid. In addition, we will reimburse any non-refundable expenses such as missed tours and excursions that were purchased through Holland America Line. Holland America Line is working closely with all guests scheduled to sail on this voyage and their travel agents to assist with necessary changes. The ship is currently docked alongside in Quebec where repair work continues. All services and safety systems on the ship are fully operational. The ship did shift berths under its own power early this morning due to port traffic. Tug boats accompanied the move due to regulatory requirements. Guests with questions may call 1-877-425-2231 or 1-206-626-7398 for more information. At Holland America Line, the safety and well-being of our guests and crew is our top priority. 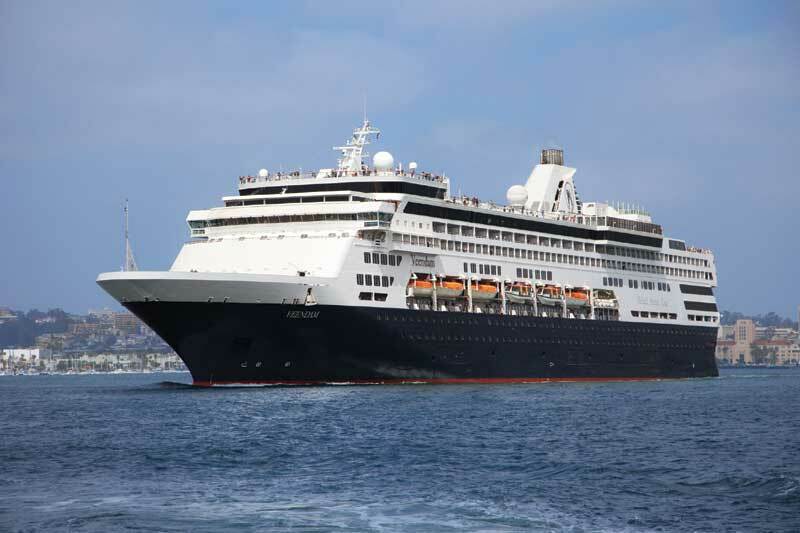 Holland America Line has cancelled another upcoming cruise for the ms Veendam cruise ship due to a mechanical problem. Apparently there had been a problem with the ships propeller and as a result the cruise line cancelled its cruise which was supposed to begin on September 28th from Quebec. Engineers were expected to have it fixed but now it seems this is not the case. The Seattle-based cruise line has now also cancelled the next cruise which was scheduled to depart Boston city on October 4th. The cruise itinerary was a 7-day Canada and New England voyage finishing back in Quebec. Guests booked for the sailing are getting a full refund from Holland America along with a 100 percent credit towards a future cruise. Engineers now have a race against time to make sure the issue is fixed before another sailing and making an inconvenience to more cruisers. At the moment the ship is currently stuck in Quebec while urgent repairs are being made. Yesterday the ship even had to move itself to another dock due to other vessels entering the port. The ms Veendam is a 57,000 ton ship carrying 1,350 passengers and has been sailing Canada & New England cruise year round since 2013.